Even though Apple isn't expected to have a 5G enabled handset until 2020, some AT&T customers with an iPhone are going to be convinced that they are connected to a 5G network following the iOS 12.2 update. According to MacRumors, that's because following the installation of the recently released iOS 12.2 beta, some iPhone users on AT&T noticed the 5G E icon on their device's status bar. But in this case, seeing is deceiving. As we pointed out in December, the 5G E icon indicates that the phone is connected to AT&T's 5G Evolution network. And that would be great, except that this network is simply an enhanced 4G LTE pipeline that uses technology to increase data speeds. Tools like 4 x 4 MIMO increase the number of antennas sending and receiving data between a compatible phone and the cell tower. 256QAM increases the amount of data packed into binary signals. And carrier aggregation widens the "data lanes" so that there is no congestion. All three of these tools can double 4G LTE speeds, but fall far short of what true 5G can bring. Both T-Mobile and Verizon have mocked AT&T's decision to use the 5G E status bar icon, with many calling it misleading. 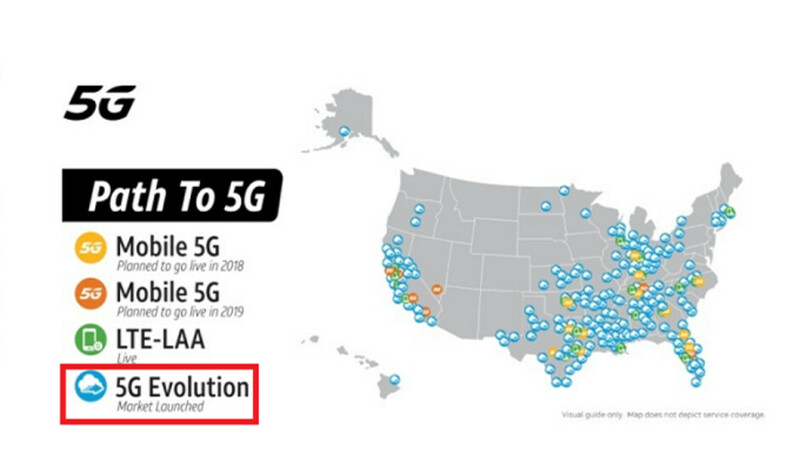 With AT&T's 5G Evolution service running in over 400 markets, once the final version of iOS 12.2 is disseminated to iPhone users throughout the U.S., there are bound to be quite a few confused AT&T customers walking around, iPhone in hand, wondering why there has been such a big deal made about 5G. Once you read this article, you won't be one of them.